Facebook addiction: MIT students' shocking solution to compulsive Facebook-checking. Do You Check Facebook Compulsively? Here’s a Shocking Solution. 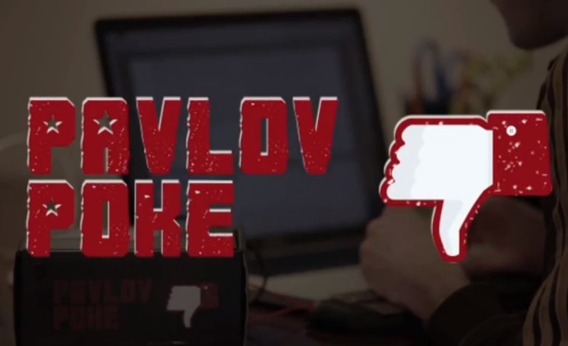 The “Pavlov Poke” might not be the most pleasant way to break your Facebook addiction. You probably know the feeling: You’re staring at some spreadsheet on your computer screen, your eyes begin to glaze, and you involuntarily scan your bookmarks bar for something—anything—that might offer a moment’s respite from drudgery. For a lot of people, that something often turns out to be Facebook. And that “moment’s respite” turns out to be the next hour and a half. Did it work? Well, sort of. In a blog post about the project, Morris reports: “Sadly, we found the shocks so aversive, we removed the device pretty quickly after installing it. Anecdotally, however, I did notice a significant, though temporary, reduction in my Facebook usage.” You don’t say!